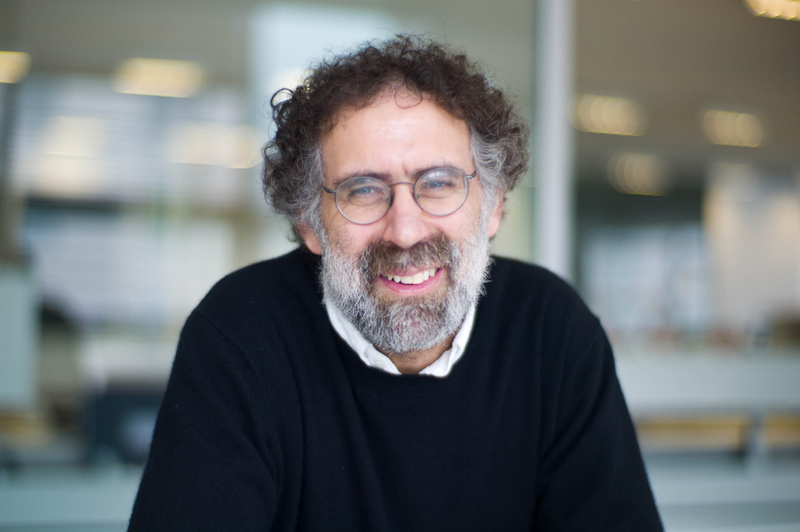 Matt Richardson is a creative technologist, maker, author and the Executive Director for North America of the Raspberry Pi Foundation. The Foundation provides outreach and education to help people access computing and digital making using low-cost, yet powerful, Raspberry Pi computers. Since the release of their first computer in 2012, more than 11 million Raspberry Pi units have been sold. Products include the Raspberry Pi 3, a small single-board computer with a quad-core CPU that retails for $35; the Pi Zero single-core computer, which is available for $5; and the Pi Zero W, which adds built-in Wi-Fi and Bluetooth functionality for $10. Tell me about your path to becoming the Executive Director of North American for the Raspberry Pi Foundation. RICHARDSON: I used to work in the television industry in New York City, but I grew up exposed to technology and computers and have had a passion for technology for a long time. As I was working in television, I noticed that people were creating and making things with computers and technology, and it really captured my attention. I thought it was something I wanted to try to do, so I started off as a hobbyist maker. I was creating things and putting them out there, making projects ‚Äì you know, all the fun and interesting things that I wanted to do for a long time. Because of the maker movement, I was able to do these things that I wasn’t able to do before. I was involved in the maker community for a long time before the Raspberry Pi came out, and I immediately liked how we could now use computers as a material for making things. And I loved the price of Raspberry Pi. So I quickly became an unofficial evangelist for the platform ‚Äì I wrote a book called Getting Started with the Raspberry Pi with a good friend of mine, Shawn Wallace. And I would talk a lot about what Raspberry Pi is all about just because I was passionate about what the community was about, what the product was about, and what the Raspberry Pi Foundation was doing. In late 2014, Eben Upton, one of the founders of the Raspberry Pi Foundation asked me if I wanted to be a part of the team in the United States, and I jumped at the opportunity. I started at the Foundation at the beginning of 2015 as Raspberry Pi’s first U.S. employee. Raspberry Pi has both a commercial business and a foundation. Can you outline for me how those two organizations work together? RICHARDSON: We are unique from other charities that are associated with technology in that other major charities are often a technology company first and have a charity, sort of, on the side. We’re different in that we are first and foremost a foundation that happens to own a technology company, and that’s the Raspberry Pi Trading Company.¬† Raspberry Pi Trading handles the engineering and¬† product¬† and all the stuff that goes around that, and that’s owned by Raspberry Pi Foundation, which does all the charitable outreach. All the “mission” work is done by the Raspberry Pi Foundation. The Foundation got its start in the U.K. What kind of activities does the Foundation support here in the U.S.? RICHARDSON: The Raspberry Pi Foundation has global ambitions. We started off in the U.K. but we expanded into all of Europe. We want to be making a difference all over the world. We want to be achieving our mission all over the world, and we are doing that in several ways. One thing we’re doing in the United States is training educators. We piloted Picademy, our professional development program for educators,last year in 2016, and it’s now an ongoing program in the U.S. We also do a lot of work involving direct-to-youth outreach in the United States. For instance, we look at events like Maker Faires and science festivals as opportunities to get young people to try out coding and technology ‚Äì many of them have never had exposure to it before. So we want to find opportunities where we can get the Raspberry Pi out there and get people we normally wouldn’t reach, getting families and children to sit down at a Raspberry Pi and try to write a line of code and try playing with electronics. I saw that the Foundation recently joined forces with Code Club and Coder Dojo. How do these mergers fit into the Foundation’s U.S. ambitions? RICHARDSON: Our mission is to put the power of digital making into the hands of people all over the world. When we talk about digital making, we talk about using technology to create and make things. It’s not just about coding. It’s electronics. It’s design thinking. There are a lot of things that encompass digital making. Code Club and Coder Dojo are great examples of organizations that go out there and provide resources for people to do outreach to youth. Code Club and CoderDojo have a positive impact on hundreds of thousands of youth worldwide, and it’s something that they’ve really figured out. So they‚Äôre a natural fit for our organization, and we expect that working together, we can expand this impact even further. It seems like there’s a technology product for everything these days. Why is it important for people to learn how to make their own things? RICHARDSON: What’s really important to us is the idea that anyone can be empowered to create things with technology, and we’re not all relegated to being consumers. Technology has never been more accessible and affordable for all people. We need to do the work to push that as far as we possibly can. That’s why we make Raspberry Pis as affordable as possible, and it’s why we create resources for anyone to be able to use the technology to do the things that they want to see happen in the world, whether they’re making a project for themselves for fun, learning something new, prototyping a product, solving a problem that matters to them. We want people to understand that digital making isn’t just for people who are interested in technology itself. It’s for anyone who is interested in anything. If you are an artist, you can use technology to create art work. If you’re interested in biology ‚Äì for example, you want to know what’s going on in a particular stream or river ‚Äì you can use the technology to your advantage. You don’t need to be a technology enthusiast, a hobbyist or expert, and you certainly don’t need to be an engineer. That’s a big part of what we’re all about, making sure that everybody knows that they can use technology for what they see fit. What caught my eye, initially, about the Raspberry Pi was that it was a very low price computer. I think $35. How has the affordability factor influenced the Raspberry Pis place in the greater world of technology? RICHARDSON:¬†Affordability is absolutely critical for us. It goes hand-in-hand with accessibility. When we talk about accessibility of technology, we’re talking about making it easier for people to get started. A common barrier is price. So we have worked really hard to overcome that barrier by making Raspberry Pi as affordable as we possibly can. The affordability factor changes this idea that you shouldn’t touch, hack, play or tinker with technology because you’re afraid you might break something. Driving down the price of this technology means that more people will be able to hack or tinker with impunity, without being worried about breaking anything. It means that more people are going to give it a go. If the computers and the technology are more affordable that means more people can take a chance on it. And then it’s just a numbers game ‚Äì the more people you have taking a chance on a technology, the more people you have running with it and staying with it. To answer your question a little more directly, it means that other companies see the success we’ve had and, I think, it has put some downward pressure on the price of technology items, making them more affordable. That’s good for everybody. If we’re influencing other companies to make technology more affordable, we’re achieving our mission. You lowered the price barrier even more with the Pi Zero. How does that product fit into the Foundation’s mission and, in particular, an idea I heard you mention at the InfoSys Crossroads conference ‚Äì that a computer can be a material, not just a tool? RICHARDSON:¬†In the 1980s, there were young kids coding with computers, but the context of computing was a keyboard, monitor and mouse sitting in someone’s room. It was a sort of fixed concept of computing. But some visionaries like Seymour Papert saw a future where technologies were treated more like a material, as opposed to a tool, to create and make things with. So he created the Logo programming language so that young people could use the computer to draw and also guide “turtle robots” that would roll on the ground and draw designs according to your instructions. You could even add sensors and actuators. He was really a visionary. I think that things like the Raspberry Pi Zero have really helped spread the idea that if you create something with a computer that’s affordable enough, that computer can be a material, too. Even just ten years ago, when the maker movement was just getting rolling, you might have one Arduino [single-board microcontroller] in a project. Then when you were done with your project, you didn’t want to rip the Arduino out of your project to start a new one because you might not be able to afford multiple Arduinos. I would love to see more and more people, with more and more affordable computers, say “I can dedicate a computer to this project. I can dedicate another computer to this project and that project over there, too.” So the computer becomes a material in the project and people can think of it just like, say, they think of a canvas if they’re making art. Tell me a little more about Picademy and how teachers can take advantage of that professional development opportunity. RICHARDSON: All over the world, there a lot of really passionate and engaged educators who already “get” what we do and what we’re all about. They were already doing this before us. They understand concepts like project-based learning and computer as a material. For educators like them, we provide a professional development program called Picademy. We bring educators together for two days, and they learn about digital making and creating with computers using Raspberry Pis. Then they work together and collaborate to create their own projects. The Picademy is meant to provide an introduction for using the Raspberry Pi as a material and thinking about digital making in the classroom. We piloted it last year in the Bay Area; Austin, Texas; and Baltimore, Maryland. This year, we are going to be in Providence, Rhode Island; Irvine, California; Ann Arbor, Michigan; and Boise, Idaho. We’ll be training even more educators this year, and we will be giving them the tools to bring digital making into their classrooms. It’s not just for teachers. We include classroom teachers, librarians, community educators, after-school educators, museum educators ‚Äì educators of all types. This kind of learning doesn’t just happen in classrooms. It happens in lots of different educational contexts, and we want to support that. We know that not everyone can take two days out of their life to come see us where we are, although we try to bring Raspberry Pi as far and wide as we can. So we also host an online professional development opportunity through a platform called FutureLearn. We run courses online for educators that take about two hours per week for four weeks. It’s perfect for educators who know that this is the kind of thing for them, but don’t have the time or resources to come see us at Picademy. I saw something about Raspberry Jams on your website. What are they, and how can people get involved? RICHARDSON:¬†Raspberry Jams started with our community. This wasn’t something that we initiated. If you’re familiar with the early heyday of computing when homebrew computer groups were happening, these events started happening organically where members of the community gathered to see each other face-to-face, talk about what they’re doing, and show off their projects. Raspberry Jams started out like that. As more people began to organize these events, we as an organization supported Raspberry Jams by giving the organizers promotional tools and resources they could use. We put a Jam Map on our website where anyone running a Jam could add their event to the map with a link so that people could see it, come by and meet other people working with Raspberry Pis near them. A month or two ago, we stepped up our game in terms of how we support Raspberry Jams by providing guide books for anyone who wants to start their own Jam. We see Jams that are just three or four people getting together every month, and we see jams that are huge events with a Maker Faire vibe and associated lectures and workshops. The guide book is meant to be, not only for people who want to get together and hold an event and find out what Raspberry Pi has to offer them, but also to communicate what other Jam organizers have to offer in terms of best practices. The guide book covers all the things you want to know, and it gives you tons of ideas and inspiration for activities you can offer. For people who organize Jams and commit to creating ongoing Jams, we support them with collateral materials ‚Äì stickers, flyers and other graphical assets ‚Äì so they can give their Jam a nice, professional look. 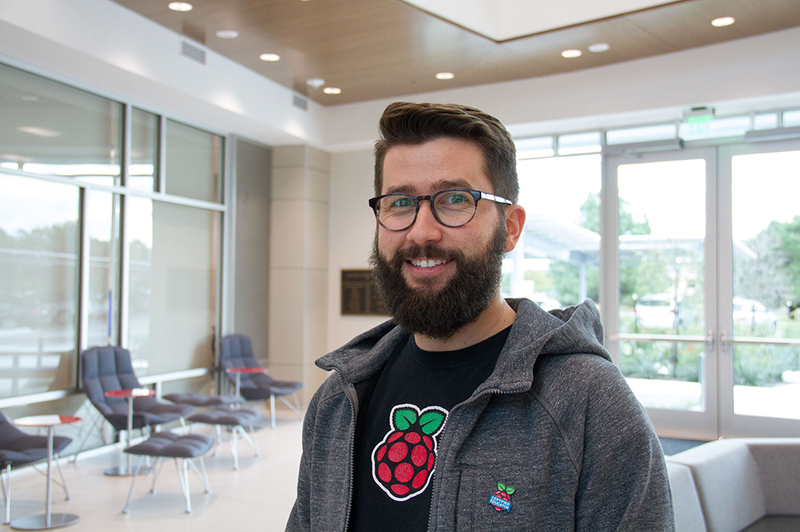 You started out as a product evangelist for the Raspberry Pi Foundation. What advice do you have for those who want to evangelize the product here in Mississippi? What do we need to do to build awareness and get people excited about computing and digital making with Raspberry Pis? RICHARDSON:¬†We always like to start looking at where there’s some momentum already happening in a particular region. It could be that, in Mississippi, there’s a classroom educator community that has already tapped into project-based learning and technology. It could be that the librarians are the ones who are already on this path. It could be tech and science museums in the area. Or it could be nonprofits that do after-school work. We provide free resources to support all those different audiences, no matter what they’re doing. We offer guides for classrooms and after-school clubs. Anyone can register a Code Club and get tons of resources for free and tap into our network of educators. I think the Code Club network is a great way for any type of educator in Mississippi to get involved. I believe the Raspberry Pi platform has a lot of potential here in Mississippi, not just because of the affordability of the computers, but also our need to encourage greater homegrown innovation to inspire economic development. Are there any other things we could be doing? RICHARDSON:¬†You’re absolutely right that the affordability of our products is the kind of thing that can help a lot. I’m not really that familiar with your area ‚Äì is there a good Maker Faire? I know that Meridian, Mississippi has had some Mini¬†Maker Faires. I think they have been the only one so far. RICHARDSON:¬†You know, the Maker Faire here in the Bay Area has been going on for about ten years, and it has grown quite large. There are a lot of Mini Maker Faires all over the world that have really come into their own as a big annual event for that whole community. But it really takes an institution to step up and take this Maker Faire idea, tap into their network and keep the conversation and momentum going. Having been involved in things like this, I know it takes a lot of effort to keep events going and to keep people interested. RICHARDSON: We’ve talked a lot about education ‚Äì classrooms, libraries, museums. But there’s a whole group of people who are just hobbyists, and supporting them is important. People pick up a Raspberry Pi and try a thing or two. And what often happens is that they learn and experiment on their own as a hobby, but then that becomes something more. It becomes a product, or the idea turns into a business. We’re big proponents of the hobbyist realm of the maker movement and not just the educational side of making. It can lead to intergenerational learning, with fathers and mothers working with their children and trying things out. It exposes kids to the idea of tinkering with things in the home ‚Äì that’s something we try to encourage. Our hobbyist community is enormous, and we love to see what these people are doing. It’s also just a huge source of inspiration for what can be done with the technology. Beyond all the wonderful formal education that’s happening, the informal at-home education is critical to us, as well, for getting the power of digital making into the hands of people all over the world. Jon Mattingly is the co-founder of Kodable, an iOS app that teaches basic computer programming concepts to young children.¬†We talked about the Kodable app, why kids should learn to code, and the potential computer science education offers for economic development in Mississippi. Tell me about your background. How did you get interested in programming computers? MATTINGLY:¬†I actually learned BASIC, an old programming language, when I was about six or seven. I had this old Windows 3.1 computer my parents let me use. So I started playing around with that and I found BASIC. As I got older, I wanted to start a company and I realized how important programming was so I picked it back up and kept running with it. Did you study programming in college? MATTINGLY:¬†I went to the University of Louisville to play football as a walk-on there for a couple of years. I was in the business school and interested in entrepreneurship, and I just wanted to start my own company. I realized that if I wanted to start a tech company,¬†I shouldn’t outsource it‚ÄîI needed to know what I was doing. That was around my junior or senior year. It was already too late to change my major at that point, so I got an entrepreneurship minor and taught myself programming on the side. How would you describe Kodable? MATTINGLY:¬†It’s an iPad app that teaches kids the fundamentals of programming. We teach kids logical thinking. We teach them to think critically. We teach them to problem solve. We teach them to think like a programmer.¬†You need to know how to come up with solutions to problems‚Äîyou take a set of conditions, a certain situation, and then create a solution to that problem. Another thing that’s pretty simple to understand with Kodable is you just have a maze. You give your fuzz [game character] instructions to get through the maze. MATTINGLY: I had¬†an initial idea for an online rewards program, called Surfscore,¬†for web apps, and it didn’t really work out too well.¬†Later, we were talking to some parents, and they kept mentioning how they wanted to teach their kids how to program. So, we decided it sounds like there’s something here. With my history of learning to program when I was so young, we decided to take it and run with it. You have a co-founder, Grechen¬†Huebner.¬†How has it been to have a female co-founder in the male-dominated tech industry? MATTINGLY: It’s been great for our company. She loves what she does. Her personality is evident in Kodable. I always tell her that there’s no way a programmer like me could make something that looks as good as Kodable because she doesn’t come from the “head down in a text editor, programming” mindset. Grechen is really passionate about getting more girls involved and has really tried hard to make a product that looks attractive to both genders. We‚Äôve actually got more girls using Kodable than guys. Over half of our users are girls right now, and I think a lot of that is because you can see her personality and her drive reflected in the app. Kodable is designed to teach programming concepts to kids as young as kindergarten. How quickly do kids that young pick it up? MATTINGLY:¬†We‚Äôve actually had kids as young as 18 months using Kodable, which is amazing to us. The best age range is from five to eight. Some kids, especially ones who‚Äôve grown up on iPads with parents that are pretty tech savvy, ¬†just get it. Right away, they‚Äôll be zooming right through all the levels and they can finish it pretty quickly. But if they haven’t been exposed to the thought process and the thinking, then usually it takes a little longer. But kids tend to pick it up, either way, pretty quickly. It doesn’t take much longer than, say, five or ten minutes for a kid to figure it out. Why do you think young kids should be learning these programming concepts that your app teaches? MATTINGLY:¬†It’s like learning a language. If you start learning a language too late, it’s hard to pick it up because your brain does most of its development before you‚Äôre 12. With young kids, their minds as still open‚Äîthey can learn how to think critically¬†and problem solve. And the earlier you can start kids learning that, the better off they‚Äôll be with it later in life. It doesn’t mean they have to become a programmer. But it can help kids in so many different ways just by teaching them when they‚Äôre still young and their brains are more receptive. They‚Äôre like sponges. They just pick up everything. I understand the app has been piloted in some schools? MATTINGLY:¬†Yeah, we‚Äôre being used in quite a few schools. It’s numbering in the hundreds now, maybe even thousands. They end up finding out about us through word of mouth, and we try to maintain relationships with as many schools as possible. I email everyone that signs up for the Kodable learning guide. I email them personally and talk to them to see how they‚Äôre doing and make sure that everything’s going alright. 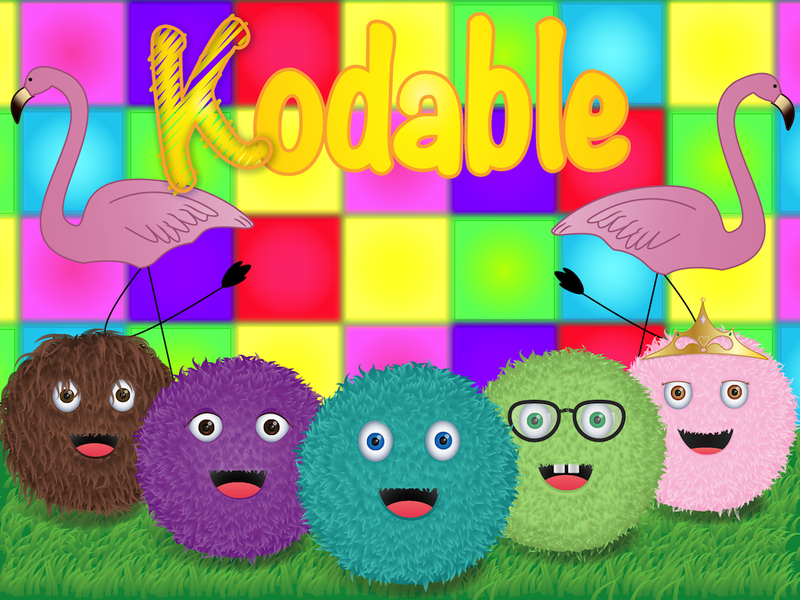 Our focus has been to help people teach with Kodable. Because a lot of these teachers, they want to teach programming because they realize how important it is. But they don’t actually know where to start. So our goal has been to demystify the process in a more adult-friendly way and relate actual programming to what we do in Kodable. So teachers can see how you‚Äôve got this concept in programming‚Äîmaybe it’s functions‚Äîand we explain how functions are used in actual programming. And it’s catered toward Kodable specifically. It’s not like a programming textbook. You know, famously, programming text books take you through one chapter of really guided stuff and then they just drop you off a cliff and then teach you all these crazy concepts and you just give up because it’s so frustrating. You want to make sure that adults can see it’s not as hard as some people might think it is. How has the reception been from teachers? What kind of things are you hearing? MATTINGLY:¬†One of the best things that we‚Äôve been hearing is that kids that use Kodable are farther along and have it easier when they move on to products like Scratch that are targeted to older age ranges. I had one person who emailed me about the Hour of Code. One of the apps that their school was using was Light Bot. That person’s child was the only one in the entire class who understood some of the material that they were teaching. Because he‚Äôd been using Kodable already, he was actually able to go out and help the other kids, to teach them how to do it. MATTINGLY:¬†I think it could be huge. One of the best things about computer science is it’s become so cheap to program and to make apps. You know, you don’t really need a whole lot of money anymore to start a company or become a programmer. The Raspberry Pi costs $35. You hook up a keyboard and a TV to it, and you can program and make apps. There are so many resources right now for learning how to program.¬†Just the other day, there was an article about a homeless guy who learned to code and he put an app in the app store. So, if you want to learn, there’s really no excuse why you can’t.¬†You want to focus on finding something you love‚Äîa problem that you want to solve‚Äîand build on it, make it better, make that problem go away for you. 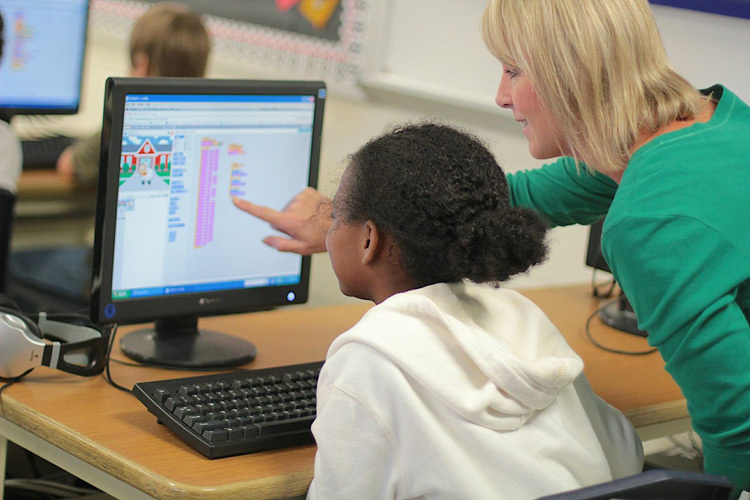 How important is it for schools in Mississippi to teach coding? MATTINGLY: It’s a tidal wave that’s coming and you don’t want to be left out. The UK is actually mandating programming education for the entire country starting next year. Every child in China learns programming. And, you know, it’s happening in America, too. Parents see how important this is. Over 18 million people participated in the Hour of Code. It shows that people want computer programming to be taught. Maris, West & Baker, with assistance from, the Mississippi Department of Education, Innovate Mississippi, the Mississippi Development Authority and Venture Technologies, is sponsoring a series of computer programming (coding) workshops for students and teachers in Mississippi during the month of November, which has been designated “Innovation Month” in Mississippi. Why is an advertising agency promoting k-12 coding? The way we see it, teaching kids to code is an economic imperative for participation in the computer-driven digital economy that’s fueling growth and development around the world. According to the computer science advocacy group, code.org, our country is projected to have a shortage of one million needed computer science graduates by 2020. While other countries around the world have expanded opportunities for early computer science education, computer science has actually been in the decline in America over the past ten years. Promoting computer programming education is vital to American economic interests, and it can be an absolute game-changer in Mississippi. ‚Ä¢ Apple’s App Store has created nearly 300,000 jobs in the U.S. according to the company figures. Considering, Apple represents just one segment of the fast-growing market for mobile apps, it’s clear that the popularity of mobile devices is driving significant economic growth. ‚Ä¢ The American¬†computer gaming industry now¬†rivals our movie industry. It took the game Call of Duty: Black Ops II just 15 days to pass the $1 billion mark in gross sales. That’s faster than the record achieved by Avatar, the highest grossing film of all time. ‚Ä¢ Increasingly, the world’s largest and most powerful companies are in the software business. Think Microsoft, Apple, Google and others. Those companies that are not in the software business depend on proprietary software for their daily operation and economic vitality. In the words of serial entrepreneur and venture capitalist, Marc Andreesson, software is eating the world. We need only look to our next door, Louisiana, to see how other states are positioning themselves to spur software development. The state is investing $15 million over the next ten years to increase the number of computer science graduates at LSU. In September, the state¬†broke ground on a new $55 million urban development in downtown Baton Rouge that will include a new IBM Services Center. The development is expected to create 800 new direct jobs. But success in the software world doesn’t require that type of investment. Knowledge and creativity are the critical assets, not money. Mississippi’s great musical invention, the Blues, was first played on cheap guitars purchased from the Sears’ catalog and front-porch diddly bows. From there, the blues took the world by storm. Our next great revolution could owe its existence to a $300 laptop.¬†Coding, in that sense, levels the playing field. If you “know the code,” anything is possible. Let’s dream big and make innovation happen on that scale here in Mississippi.